We are also known for our Cargo Holding Services. For effective cargo holding services, we have our own warehouses or godowns along with rented ones. The warehouse that we rent or possess, are backed by satisfactory resources that help us to keep the cargo in a proper manner. Skyblue Logistics India Pvt. Ltd.
You can trust Safex International to handle your global cargo projects. We can handle your project from initial start to complete end. 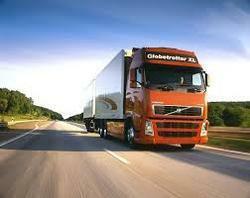 - Household Transportation (Domestic & International). This product gets special attention in terms of its deliveries done at the destinations. - Domestic Cargo Services for delivering heavier consignments that require special arrangements such as bigger vehicles, dedicated manpower and material handling equipment. It ensures priority deliveries at optimal costs, in both air and surface modes. Combined Courier Ground Cargo is an economical door to door surface distribution service by rail/road within India for shipments weighing 10 kg and above. 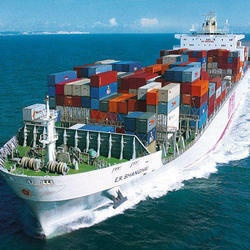 It is a cost effective delivery solution for your commercial shipments. Added facilities of collecting the value of goods from the receiver by means of Demand Draft (COD) and billing the freight charges to the receiver (TO PAY) are available. All your bulk consignments are transported through our own fleet of Vehicles and through our own leased Railway Wagons and through other modes to various stations all over India. Supported by container LCVs, TPC ensures added safety and on time delivery for surface transit cargo.